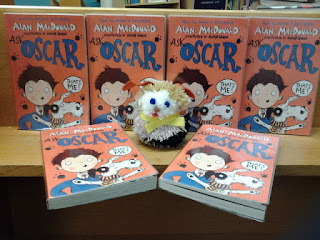 Reigate Chatterbooks have just read Ask Oscar by Alan MacDonald we then made our own dogs out of woolen pompoms, things got quite knotty !!! 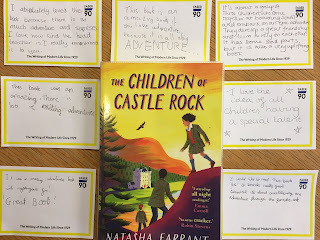 What a wonderful adventure we went on in February with "The Children of Castle Rock" by Natasha Farrant! 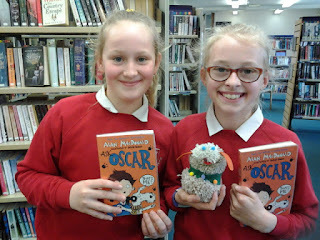 Weybridge Chatterbooks group all agreed that it was a really interesting and exciting book to read. 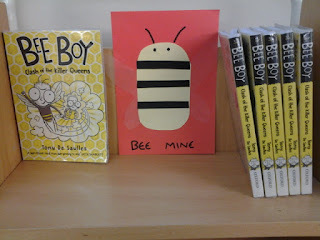 You can see from our reviews, the different things we liked about this book. We are also celebrating 90 years of the publishers, Faber and Faber who have published loads of books over that time, some of which I'm sure you've read. As well as publishing our last book, our next book "Max and the Millions" by Ross Montgomorey is also a Faber book. Our first impressions were good, so be sure to catch up with the blog to hear what we thought. We still have space for new members in Year 4 or 5. To enquire about joining, please come to Weybridge Library and our next meeting is Friday 3rd May at 3.45 pm. 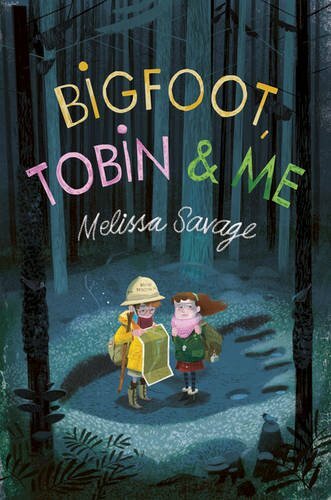 This month we read 'Bigfoot, Tobin and Me' by Melissa Savage. The book is set in 1970's (pre-mobile pone!) California and most of the group enjoyed it-I think the adults liked it better than the children! Lemonade Liberty Witt has lost her mother, she's been forced to move away from her home to live with the grandfather she barely knows, and can't wait to be able to get away, move back home. This isn't her home and it never will be. Her grandfather does not argue with her, in fact, he seems to spend more time with Tobin, a boy who runs his own Bigfoot Detective Agency, as they live in an area with many sightings. Lemonade unwillingly finds herself entangled in his business when she comes across evidence of Bigfoot's existence in the woods. Lemonade is determined not to put down roots, not to make friends, not to enjoy living with her grandfather, but gradually she may find herself living up to her namesake of 'making lemonade from lemons', despite her grief. 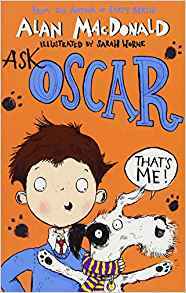 Lemonade and Tobin are endearing, characters.The author is a grief counsellor and shows how a child might deal with the death of a parent and come to terms with a new life, and the book came with it's own set of 'book-club' questions. This month we welcomed new member Nohva. We made a list and drew pictures of the ten things we would pack in a suitcase which would represent what is important to us and who we are. We played a Bigfoot version of 'Beetle Drive' and designed monsters by playing 'Heads,Bodies and Legs'. 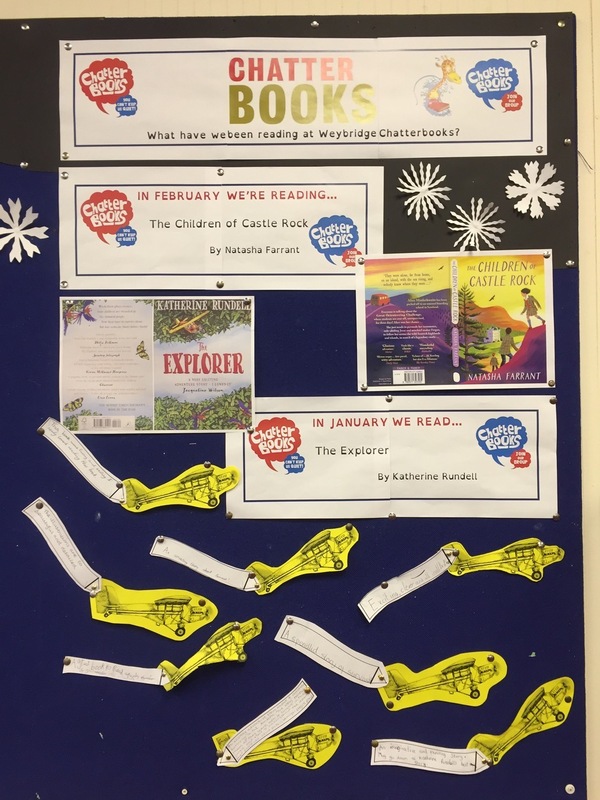 Chatterbooks at Haslemere Library are taking part in the Surrey Libraries' Children's Book Award 2019. 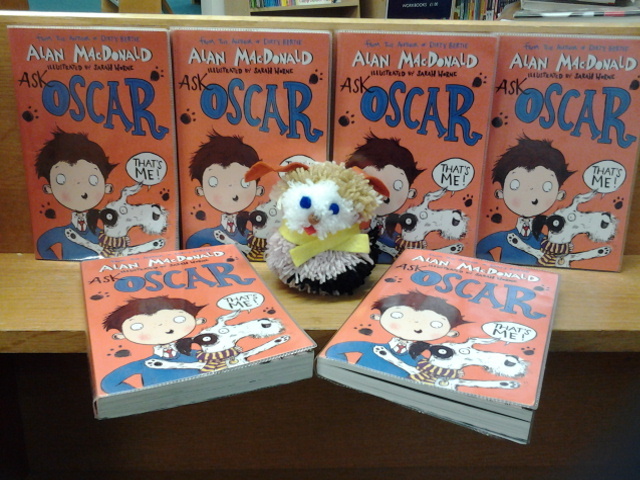 We have just enjoyed reading Bee Boy Clash of the Killer Queens by Tony De Saulles and Ask Oscar by Alan MacDonald. 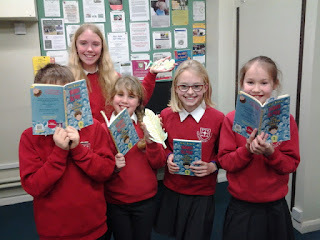 Another adventure for the Weybridge Chatterbooks. Our February book is "The Children of Castle Rock" an adventure story written by Natasha Farrant. We're looking forward to meeting up next week and sharing our thoughts about the story. Our Chatterbooks group is a lot of fun and if you feel like you might want to join us, there are still spaces for those in year 4 or 5. We would love to see you. Please enquire at Weybridge library if you think you'd like to come along. 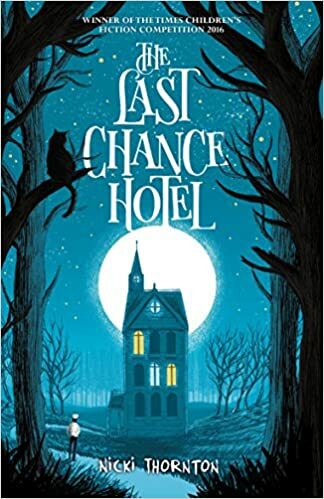 This month we have been reading The Last Chance Hotel by Nicki Thornton. Seth is the down-trodden kitchen boy with ambitions to be a chef. He has always lived and worked at the remote Last Chance Hotel in the middle of a seemingly endless forest. When a strange gathering of magicians arrives for dinner, their leader is poisoned. A locked-room murder investigation ensues - and Seth, is the main suspect as he prepared a special desert only eaten by the kindly Dr Thallomius. Can he solve the mystery and clear his name, especially when magic's afoot? This was a wonderful, complex and original story with some unusual plot twists. It looks like it may be the first in a series to rival Harry Potter. Most of the group liked the book except Kasper who doesn't like books about Magic. As it was St Valentine's day we made hearts showing our favourite books. 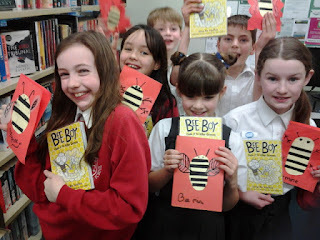 We made 'Love bug' greetings cards-in which most of which the group wrote rude messages! 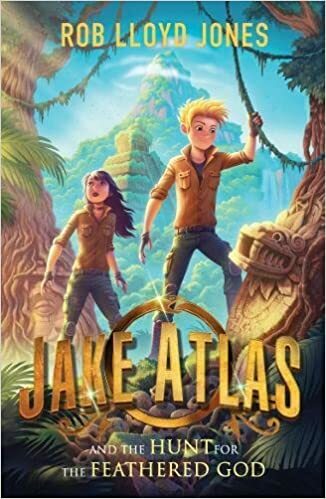 This is an adventure story about Jake Atlas, his twin sister Pan, and their parents who are treasure hunters. In order to save their friend, the groups tech-wizard Sami from the clutches of the Snake People, the Atlas family have to travel to the rain forests of Honduras to find the Emerald tablet for the evil Snake Woman in return for the antidote to the poison she has used on Sami. Dare-devil Jake is always getting into trouble with his parents for taking risks-but sometimes he is just the boy for the job! We were surprised that this action packed adventure did not go down as well as we thought it might. 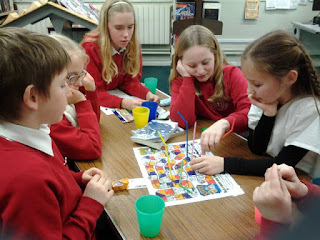 We then did a treasure hunt in the library. The group had to find the Aztec symbols hidden in the library from a set of clues, translate them into letters of the alphabet and then work out together what word they spelled out. 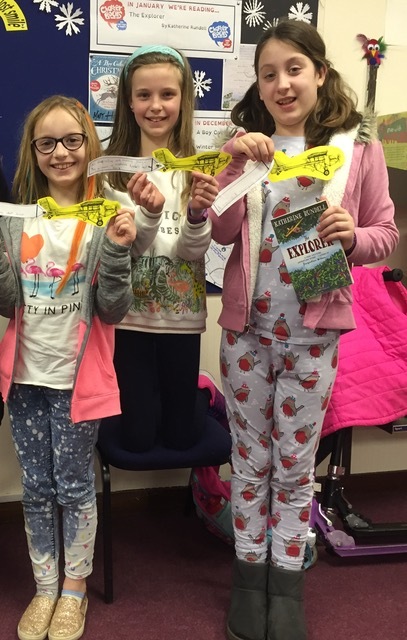 Although they are getting very good at following the clues and finding the hidden symbols, it took quite a while to find the secret word: EMERALD! After that we used the story dice to create stories. Somehow they always seemed to feature Donald Trump! packing an environmentally lunch box. 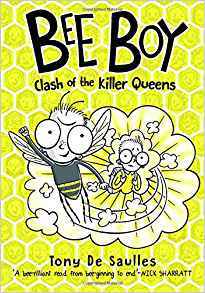 Reigate Library Chatterbooks are taking part in the Surrey Children's Book Award 2019. 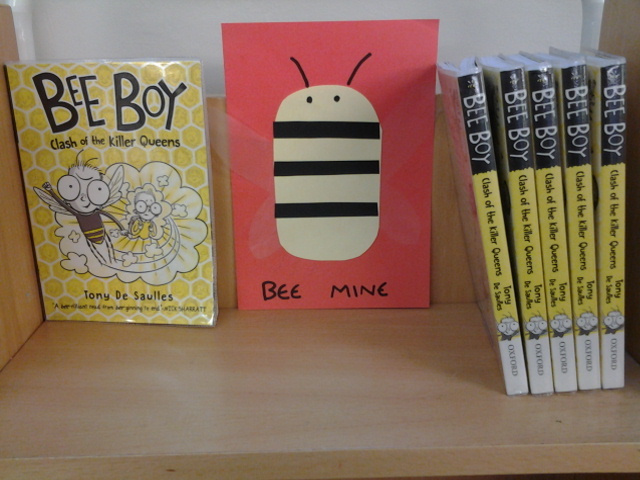 We have just read Bee Boy Clash of the Killer Queens by Tony De Saulles, we loved the illustrations learnt lots about bees and made Bee mine cards for Valentines Day. 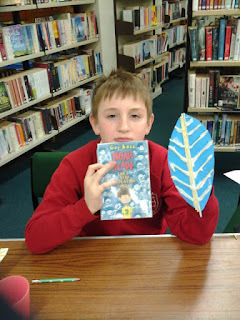 We recently met to see what we thought about our last book "The Explorer" by Katherine Rundell. Have you read it? What did you think? 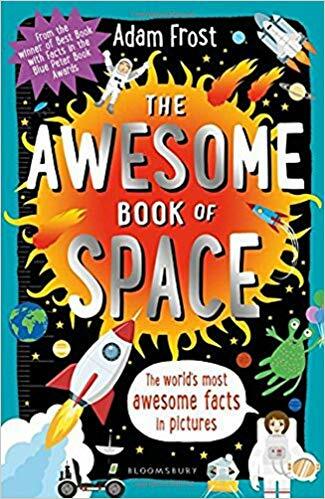 It is certainly an adventurous book! Our group thought it was good, on the whole and we enjoyed writing our reviews. If you're in Weybridge library, have a look at our display. We used banners attached to little yellow airplanes to write down what we thought about the book. 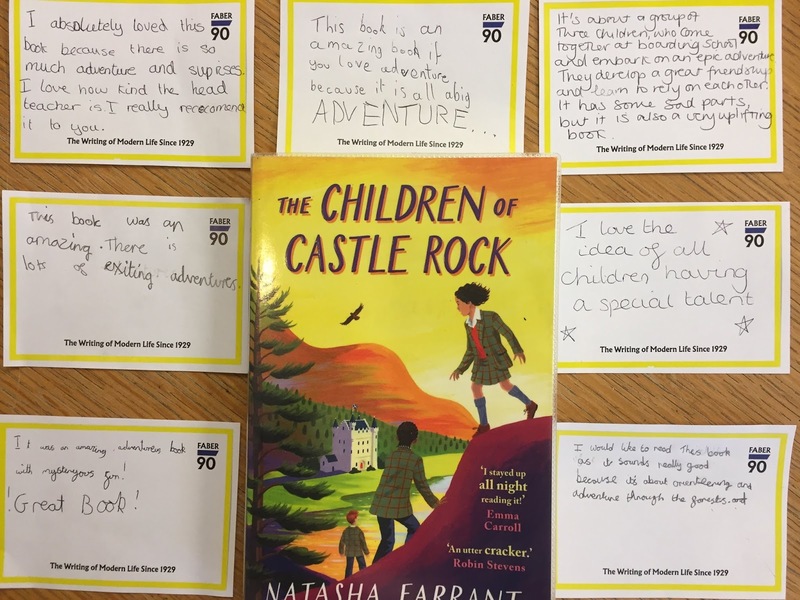 Our book for February is "The Children of Castle Rock" written by Natasha Farrant. It's an adventure story with a twist. Check in to our next blog to see what we thought and what we enjoyed about it. Chatterbooks at Haslemere Library has enjoyed reading 'The Awesome Book of Space' by Adam Frost. 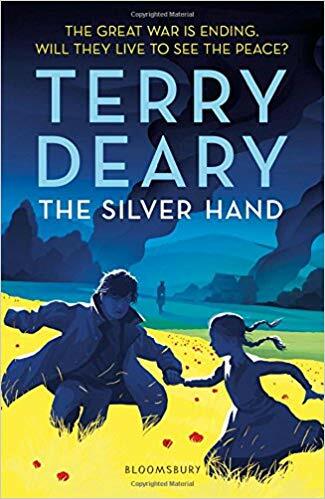 This month we read 'Silver Hand' by Terry Deary. We thought this tale set around the end of the first World War was appropriate with the centenary this year. French Aimee and German Marius flee from the sinister 'Silver Hand', a British soldier spying for the Germans. As it was Christmas we iced gingerbread men and biscuits. We welcomed new volunteer Anne-Marie! 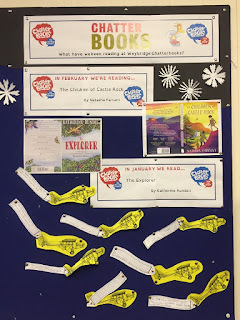 Weybridge Chatterbooks have had the first meeting of 2019 and a very lively one it was! We have been together for about 5 months and have read some very different books during that time. 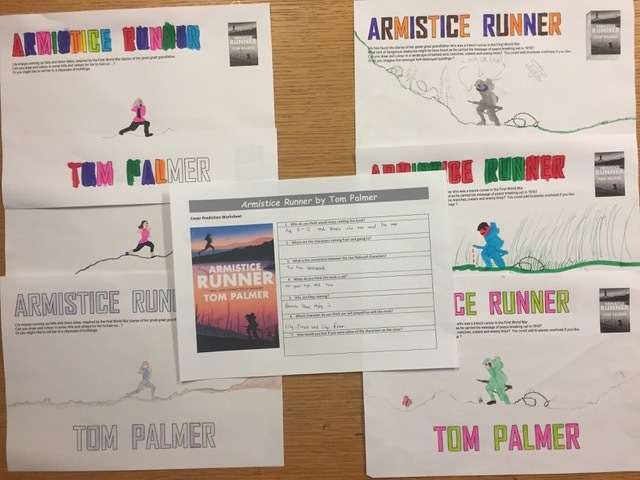 The favourite so far has been the Armistice Runner by Tom Palmer. A really good read. We imagined what it would be like for a young man in 1918 running into enemy territory. 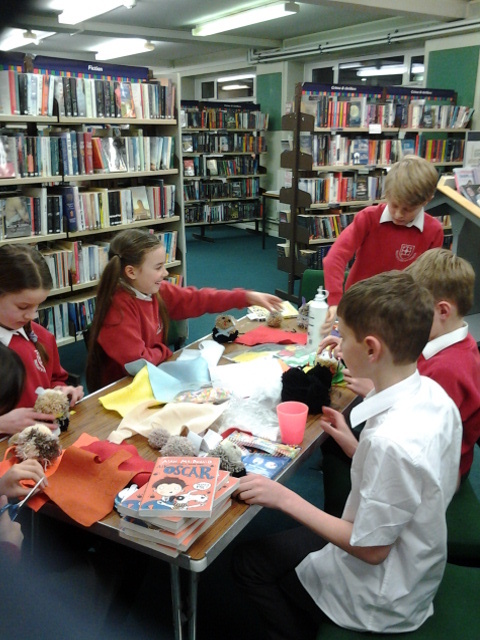 At Christmas our group read two books, A Boy Called Christmas by Matt Haigh and Winter Magic a book of short stories about Winter and Christmas. We wrote down our thoughts about both books and decided whether we would recommend them. These reviews will soon be part of a display in the library. 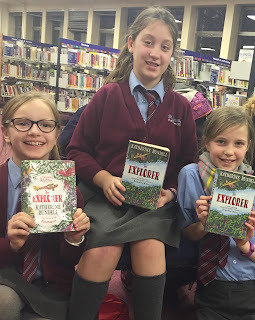 Our new book for January is The Explorer by Katherine Rundell. We are pretty excited about this book. More news on that in the next blog. If you're interested in joining the group and are in year 4 or 5, we have spaces. Come to the library for more information. Our next meeting is on February 8th at 3:45pm at Weybridge Library. Reigate library Chatterbooks have just read Noah Scape Can't Stop Repeating Himself by Guy Bass. We had fun deciding what our favorite food was and what our world would be like if there was more than one of us. 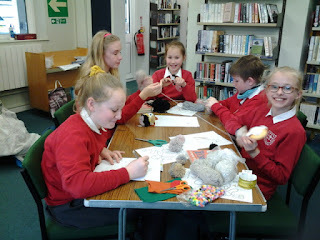 Then we did some sticking and gluing with spaghetti. During December Chatterbooks at Haslemere Library really enjoyed reading 'The Polar Bear Explorers' Club' by Alex Bell. 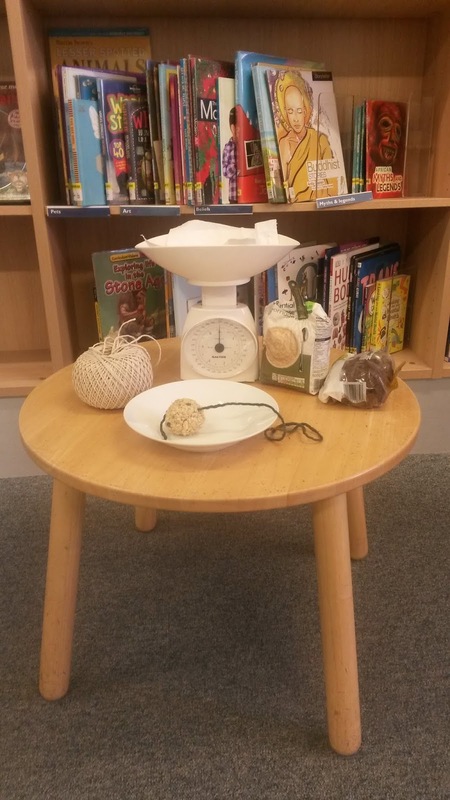 At home we tried out some tasty recipes from Nadiya Hussain's 'Bake Me a Festive Story' and, on Saturday we all made fat balls from her bird feeder recipe.